Vehicle recovery 24 hours a day, 365 days a year! Victoria Recovery Ltd can offer a vehicle rescue and recovery service for any type of vehicle 24 hours a day, 365 days a year. Whatever the size of your fleet or your requirements, Victoria Recovery Ltd can deliver a quality service to meet your needs. Victoria Recovery Ltd is an established Car and Commercial specialist bodyshop and accident repair centre. 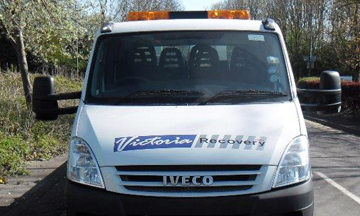 Victoria Recovery Ltd’s comprehensive fleet of specialised roadside / recovery vehicles ensure all types of incidents can be carried out with ease. 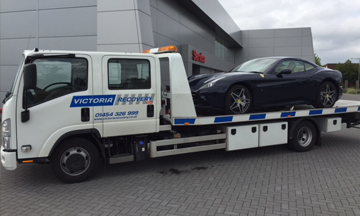 Victoria Recovery Ltd can offer a vehicle rescue and recovery service for any type of vehicle 24 hours a day, 365 days a year. We operate a fleet of service vans, each equipped with a variety of tools, diagnostic equipment and parts, offering roadside repairs for any type of vehicle at any location. 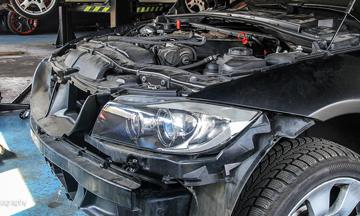 Victoria Recovery Ltd is an established Car & Commercial specialist bodyshop and accident repair centre.We meet and exceed every manufacturer’s requirements for all vehicles and are equipped to deal with all accident and body repair work. We are committed to ensuring that the highest standards are always achieved by providing the best customer and vehicle care in the region. This is succeeded through our total commitment to innovative technology systems, continuous training of all staff, state of the art workshop and recovery equipment, and a thorough understanding of our customers' needs. VICTORIA RECOVERY responded quickly to our call and were there to assist us very quickly, tow our vehicle away and not only fix our vehicle but supply us with a replacement vehicle...a first class service! Victoria Recovery Ltd has been trading for over 20 years and today is one of the South West largest dedicated vehicle rescue and recovery operator specialising in vehicle rescue, recovery, storage, repair and parking solutions. VICTORIA RECOVERY 2015. All RIGHTS RESERVED.